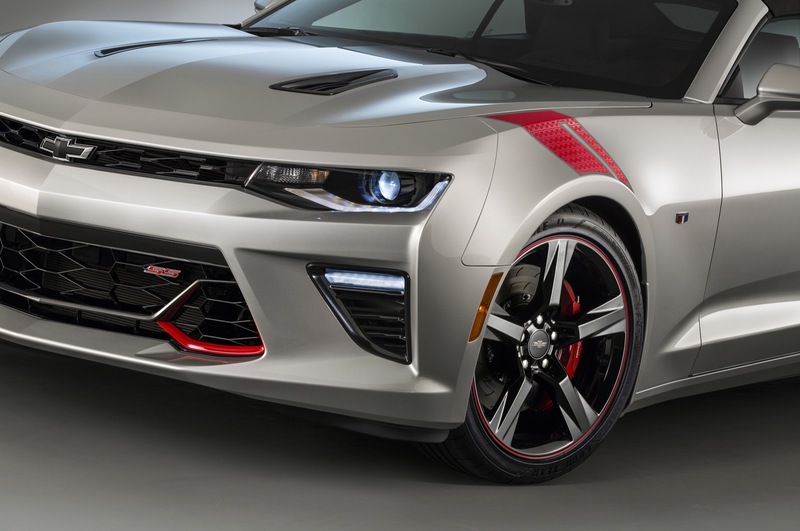 Adding to the utter slew of “Red Line” concepts the brand plans to bring to the 2015 SEMA Show in Las Vegas, Chevrolet pulled the wraps off its 2016 Camaro Red Accent concept. The 2016 Chevrolet Camaro Red Accent has been designed to showcase the possibilities consumers can choose from with a host of accessories for their 2016 Camaro. 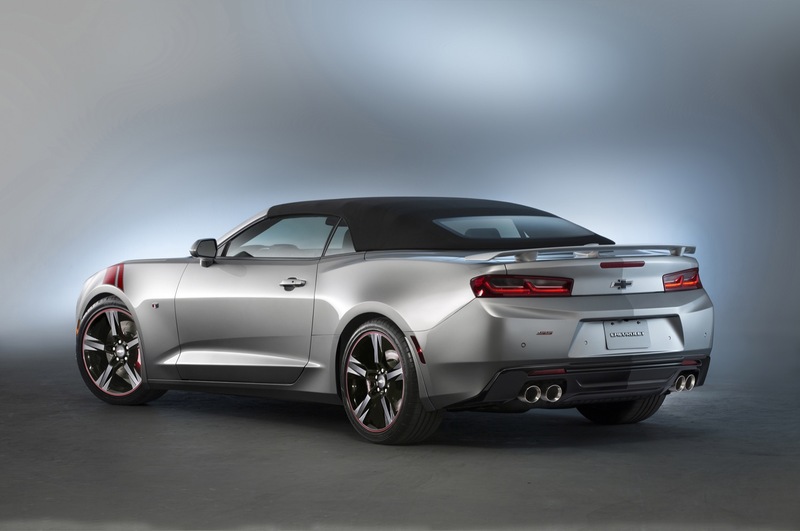 Specifically, the 2016 Camaro Red Accent takes one standard issue Camaro convertible, and applies plenty of red hues to jazz up its Switchblade Silver Metallic exterior paint color. Exterior accessories include red lower-grille inserts and red “hash mark” graphics for the front fenders, looking mighty Corvette Grand Sport in nature. Finishing the red accent theme are 20-inch black five-spoke wheels with red outline striping and black Chevrolet bowties for good measure. Inside, Adrenaline Red leather upholstery spices things up, with red-aluminum door inserts, red knee padding and sport pedals tying the look together. Premium SS floor mats and a center console cover showcase the further extent of 2016 Camaro customization. 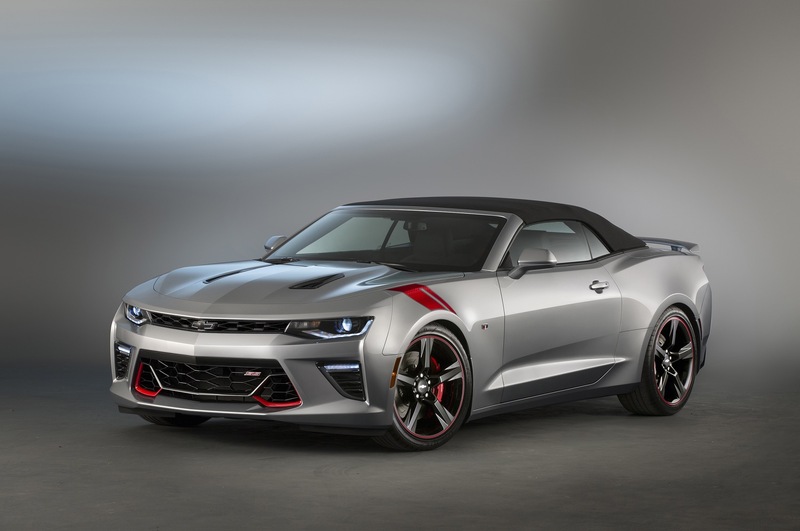 Chevrolet has also included several integrated performance kits including lowered suspension, air intake and Brembo front brakes with six-piston calipers. 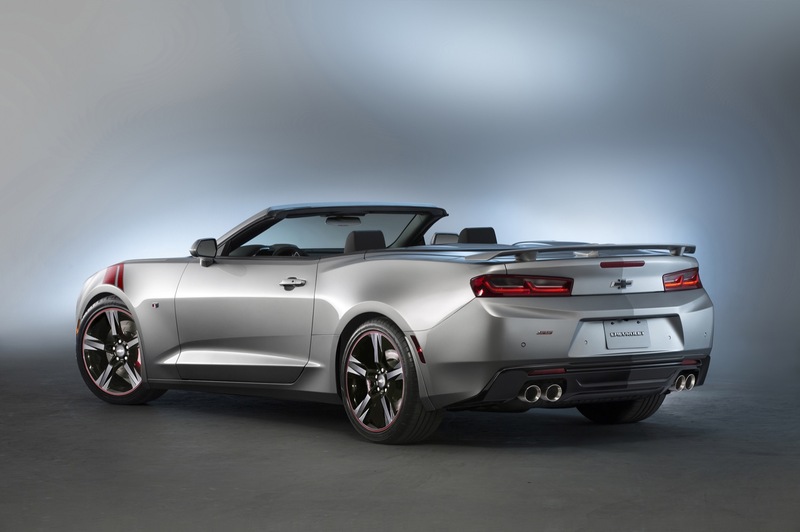 And, of course, everything seen here can be applied to your very own 2016 Camaro, pulling from the extensive accessory catalog, which you may find here.